A simple menu that offers tacos, burritos, and quesadillas. This taqueria doesn't skimp on meat. A basic taco is filled with a large amount of meat and their pico de gallo, anything extra (guacamole, sour cream, etc) costs extra. Two tacos will definitely fill you up. I ordered 3 tacos: chorizo, carne asada, and carnitas. The chorizo was a little bland and not spicy at all. It lacked some flavor and heat. Carne asada is usually my go to meat here - juicy, well cooked, and flavorful. The lack of filler allows for the beefy flavor of the carne asada to shine. 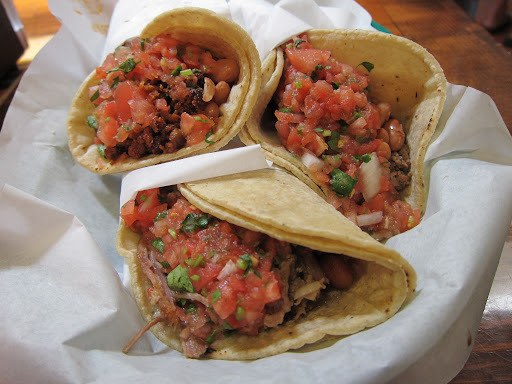 The carnitas is a popular option at this taqueria. Its a little blander than most carnitas, I prefer the carne asada here of all the options. 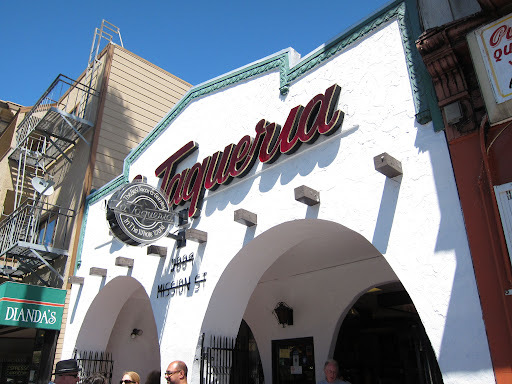 Verdict: A solid taqueria in Northern California that is reminscent of Mexican style food found in San Diego. If you miss Southern California style taqueria that offer quality meat without rice this place is probably your best bet.